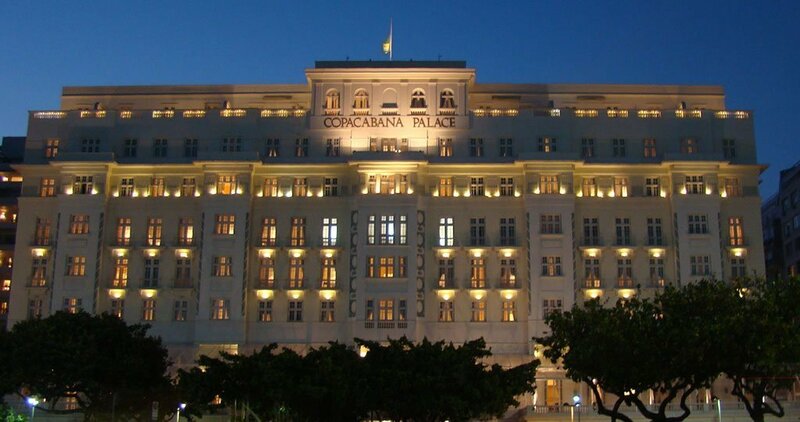 The Belmond Copacabana Palace Hotel is a glamorous landmark, pre-eminent among the best hotels in Rio de Janeiro. Since its Art Deco doors swung open in 1923, it has been welcoming the rich and famous from Fred Astaire and Ginger Rogers, to the Rolling Stones and Nelson Mandela. 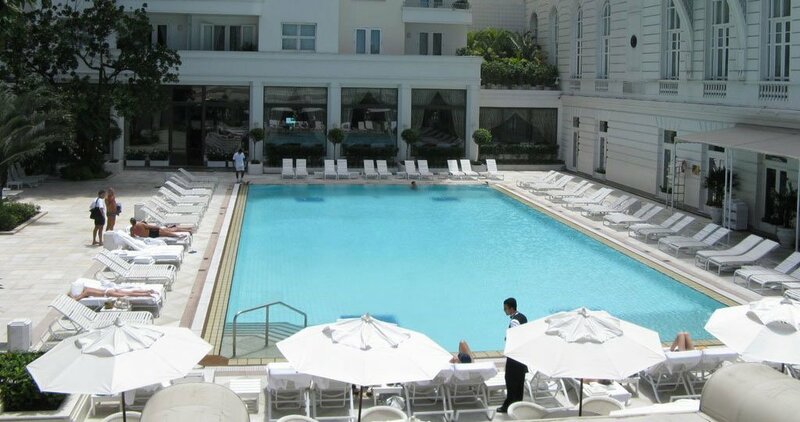 Superbly positioned overlooking Copacabana Beach, this is the best place to stay in Rio. Soak up the sun in the magnificent pool or join Brazil’s style setters at the adjacent Bar do Copa. And don’t miss the hotel’s top restaurants, whether for great local dishes or fine Italian dining at the Hotel Cipriani Restaurant. The inviting rooms face the vibrant city of Rio de Janeiro. Rich with architectural character and charm, the rooms in the main building feature trademark high ceilings, while those located in the Tower Wing provide a wonderful sense of space. International plugs.Start your day gazing at the magnificent views of Copacabana Beach and the beautiful mosaics of the famous Portuguese pavement. Delight in the sights of Rio from your own private balcony overlooking the pool and Copacabana Beach beyond. 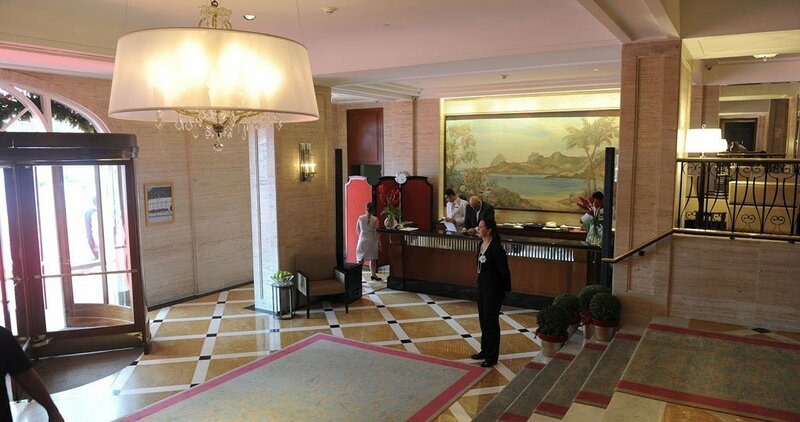 These spacious suites, located in the hotel’s Tower Wing, are ideal for longer stays. Some have a small kitchen area suitable for preparing simple meals, making it the perfect choice for families. Discover the ultimate in luxury on the sixth floor of the Copacabana Palace.Six of our seven stunning Penthouse Suites, each with a private terrace, enjoy views of the beach. 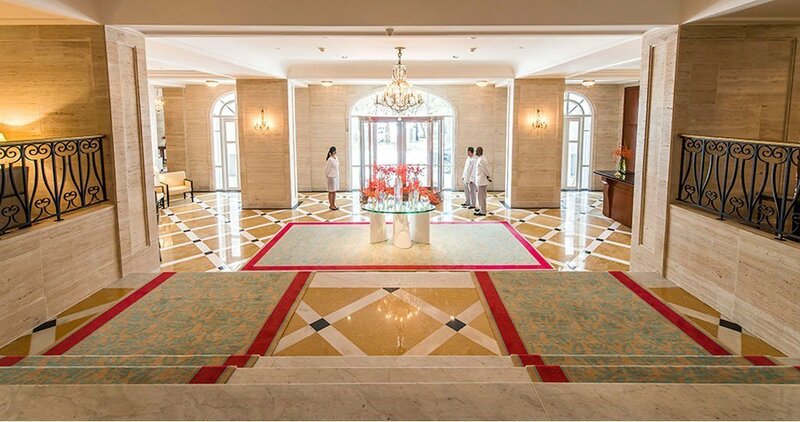 All have been decorated with works of art, exotic carpets and French fabrics to create the best in elegant comfort. Beautiful marble bathrooms feature a bath and separate shower.The penthouse floor offers exclusive use of a private swimming pool area and a wet bar with one of Rio’s finest views. A butler service (included in the nightly room rate) is also available. Relax in the sun, take a swim and enjoy the socialization opportunities in the largest and most attractive of the pools of Rio de Janeiro. A team of the pool area staff will be on hand to meet all your requests – from bringing towels to refreshing drinks and light meals from the pool menu. Our unique service offers lounge chair, umbrella and water to hotel guests. The beach staff also take care of your belongings while you enjoy the Copacabana Beach. Stay in shape or relieve stress with a tennis match. The concierge can arrange free use of rackets and balls, as well as professional training (values on request). 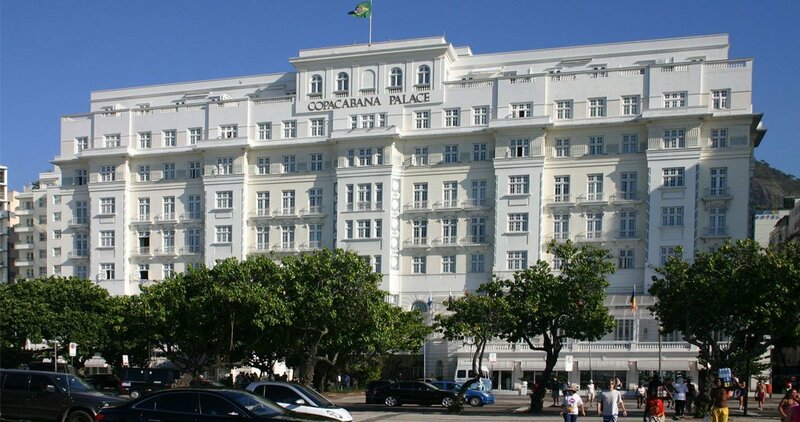 Managed by Belmond Copacabana Palace in partnership with Seaside Luxe, an American company specializing in implementing and managing stores in luxury hotels, the 1923 and the Villa Copa selling clothes, accessories, jewelry and home objects of national and international brands. Some pieces are unique, being found only in these two boutiques. Located in the Copacabana Palace Spa, this luxurious Fitness Center with air conditioning in all environments offers the latest equipment, with various forms of cardiovascular and resistance. Personal trainer service and Power Plate sessions are also available.